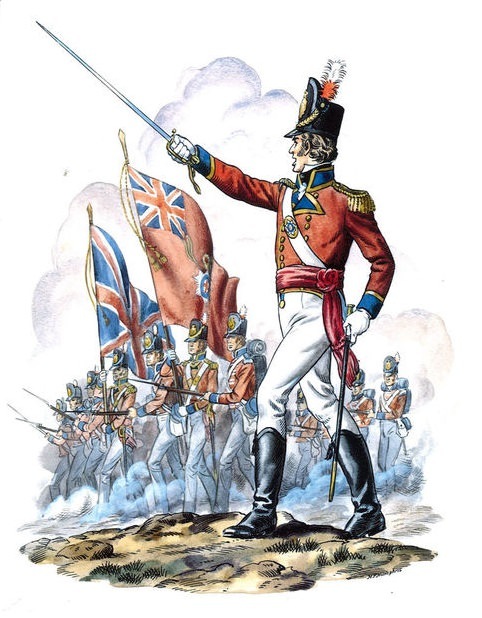 it served as part of the 2nd Guards Brigade in the chateau of Hougoumont on the outskirts of the Battle of Waterloo. 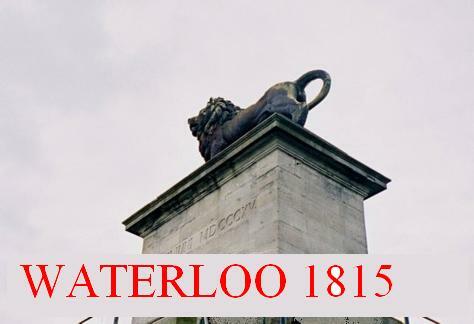 This defence is considered one of the greatest achievements of the regiment, and an annual ceremony of “Hanging the Brick” is performed each year in the Sergeants’ Mess to commemorate the efforts of Cpl James Graham and Lt-Col James Macdonnell, who shut the North Gate after a French attack.The Duke of Wellington himself declared after the battle that “the success of the battle turned upon closing the gates at Hougoumont”. 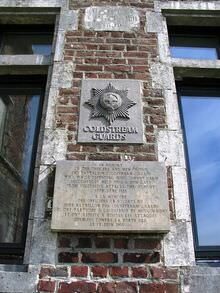 commemorative plaque on the Chateau of Hougoumont, commemorating the Coldstream Guards heroic defence.